"Torque: maple and glass 12x12x 31 inches. 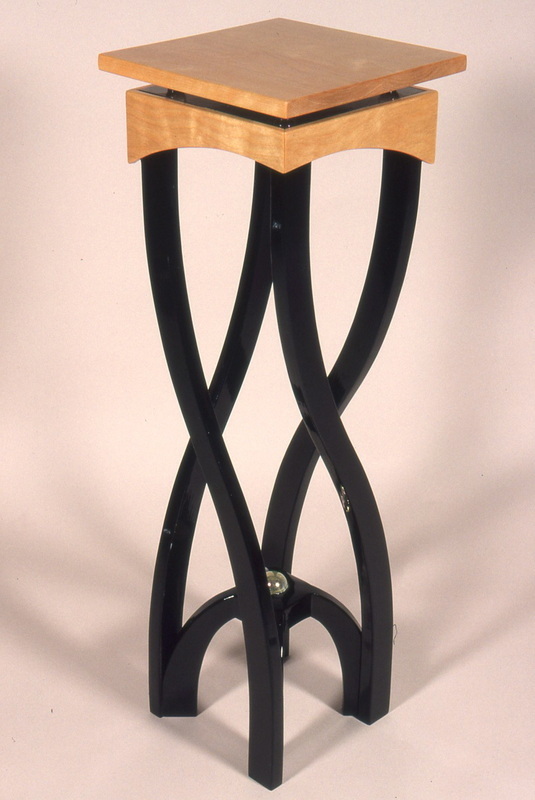 This started as an idea for a small table or plant stand with some kind of spiral support structure instead of legs. The spiral idea morphed into this design with the legs each transiting from one corner to the other. The arched base holds a crystal sphere and the top floats on four more glass spheres. 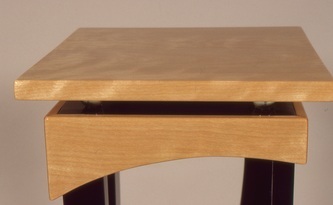 The legs are finished with gloss black lacquer for maximum visual contrast. Sold."